I move into 2017 with a goal to increase the amount I write about television throughout the year, and I recently published my list of my favorite episodes of 2016 (list can be found here). One more list in regards to last year feels necessary, that of course being my favorite shows of the year, and then the page will turn to a new year full of more television options than ever before, with web series, streaming services and pretty much every cable network imaginable getting into the original content game. I will probably be able to expand this into a top 20 come next year at this time, but for last year I watched just enough good shows to do it but it wouldn't feel right. A bit of a stretch making a top 20 list if you watch roughly 30 shows total. The British series Black Mirror aired its first two seasons on Channel 4 before the third season moved to Netflix, and the 6 new episodes debuted in 2016. One of them, "San Junipero", was at the top of my list for best single episodes, an installment that I watched twice over the course of 12 hours and have not stopped thinking about since. The reason the show itself ranks at the bottom of my top ten is because it's all good, really good in fact, but none of the other five episodes resonated the way "San Junipero" did. None are bad either though, there isn't a single total misfire in the bunch, so I still give the show as a whole a confident recommendation, but at the end of the day I am left not thinking about the whole package but rather one brilliant part. Even at its worst though, Black Mirror is still an entertaining, crazy science fiction experience that never loses it's edge, and the anthology aspect of storytelling lends itself to letting creative minds craft really fascinating short films. Okay I have to be honest here: my wife was a lot more confident that this freshman network drama would be a good show than I was. I didn't doubt it would have its merits based on the trailer, but I was concerned that the obviously sticky, syrupy aspects of the family-based stories would be too melodramatic and make me cringe. I am all for a bit of that stuff with my television experience, but typically that would be the type of thing that would keep it off any best of list I might make. 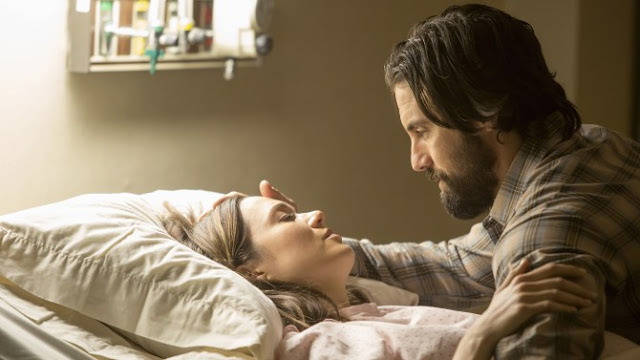 This is Us completely proved me wrong thanks to really smart writing from creator Dan Fogelman and others and great performances, must notably from Mandy Moore and Sterling K. Brown, fresh off his multiple award wins for his portrayal of Christopher Darden in The People v. O.J. 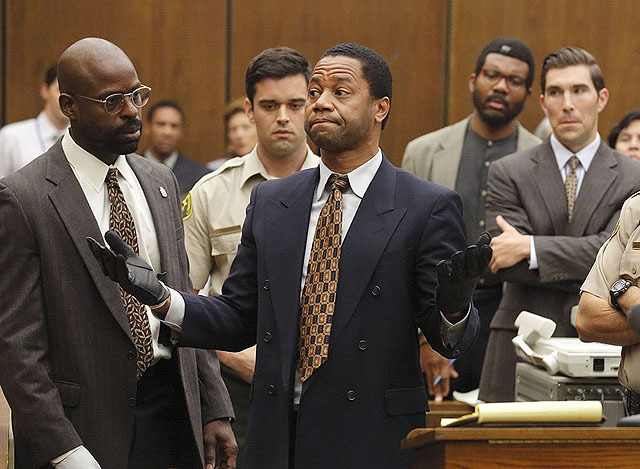 Simpson: American Crime Story (and you might be seeing something about that show shortly on this list). Ten episodes in and these characters and their relationships have not lost a thing, and the way the show is edited to flow between two completely different eras seamlessly is a treasure. I have to wonder if this series would be even higher on my list had I not already seen the incredible 7 and a half hour documentary O.J. : Made in America prior to watching, because I learned so much from that film that made some revelations on the show far less explosive. Regardless, The People v. O.J. Simpson: American Crime Story does basically everything right aside from some silly things early on where creator Ryan Murphy just had to toss in cute little Kardashian jokes because of the fame the family has achieved since father Robert served on O.J. 's lawyer dream team. Performances are incredible, the drama works despite knowing exactly how the case plays out, and for those who did not see O.J. : Made in America, there will be a lot to chew on regarding how race and media manipulation played such huge roles in the acquittal of a man who almost certainly committed the crime. Four years into House of Cards and it has not lost any of its luster with me, and given the political landscape that we witnessed in 2016, does the show really feel that silly and/or unrealistic anymore? I actually found the fourth season to be a major bounce back from the slight let down that was season three. 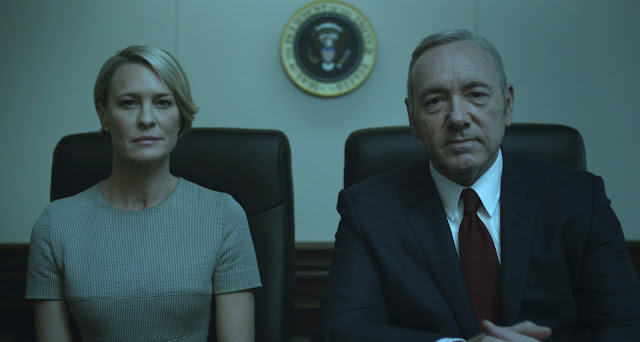 Despite my love for all things Underwood, I do hope the show has a plan in place to wrap itself up soon with a great ending rather than overplay their hands for multiple more years and lose steam. The upcoming season five or a season six at the absolute most should close it out, and I can't wait to see how they do it. 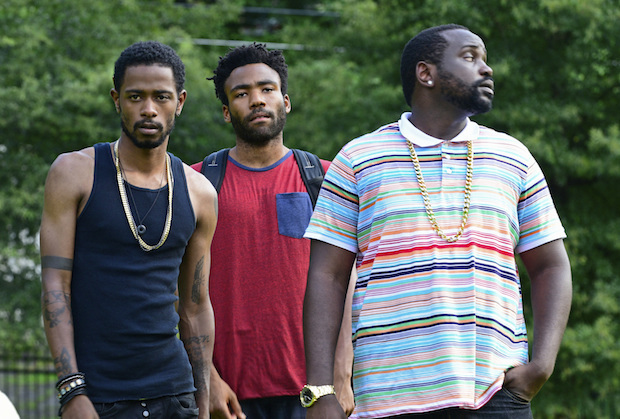 I had seen Donald Glover in a few things, but his comedic genius was completely lost on me until I witnessed his very personal, unique television series Atlanta when it debuted on FX in 2016. Every episode seemed to play by its own rules, and I admire FX for the way they let their showrunners actually run the show however they see fit rather than loom over them with suggestions and concerns about pandering to an audience. This level of hands-off collaboration was first apparent to me with the show Louie and it certainly continued on with Atlanta, a funny, insightful, smart and at times surreal new series that has been recognized already with some well deserved awards, and I can safely assume more are on the way. 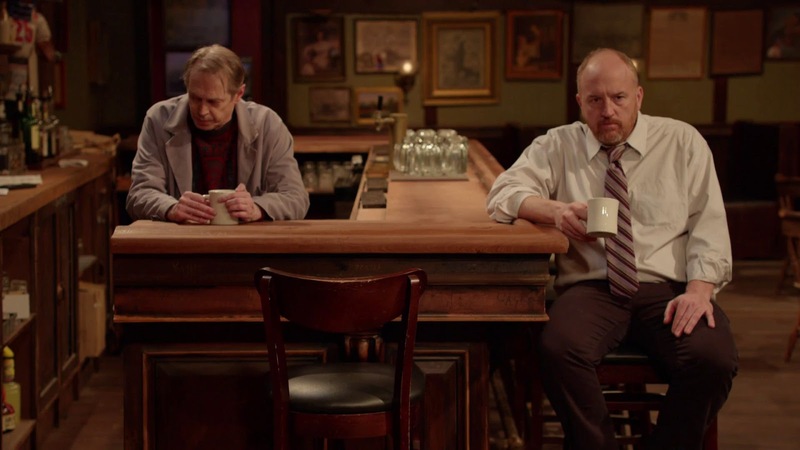 A web series that initially could only be found on Louis C.K. 's website early in 2016 (it is now available to stream on Hulu), don't expect big laughs from this one despite the creator and top-billed star being a comedian. The series in its entirety plays like a really tragic play, utilizing minimalist set pieces and dialogue driven sequences to deliver its emotional moments and themes. Horace and Pete was one of the smoothest and most moving binge watch sessions I had last year, watching all 10 episodes over the course of two days. Whatever C.K. does next, I hope he brings as much passion to it as he did here. Sure, this HBO miniseries may have ended on a note that didn't really feel as strong as it should have, but I said the same thing about The Night Of that I did after the first season of True Detective: how would you have ended it? What I mean is, when a show is this great and only tells its story over the course of 8 episodes, it's really a challenge to deliver an ending that packs enough of a wallop to feel worthy of everything that came before it. 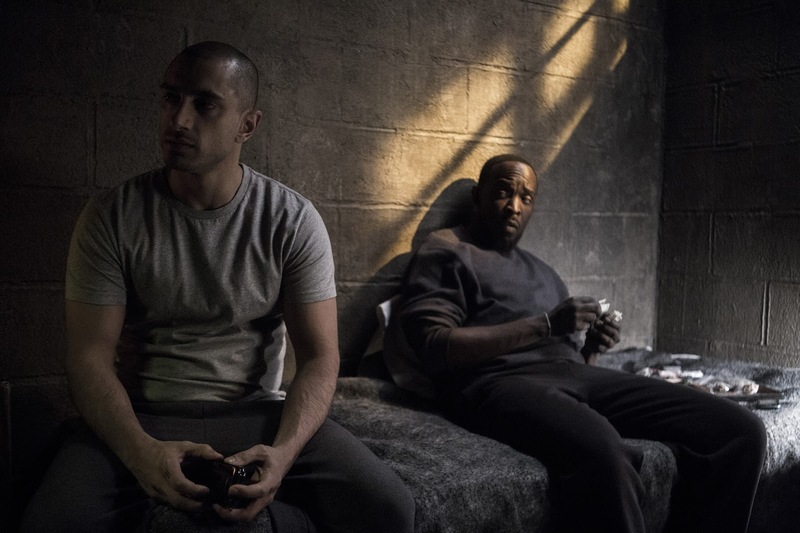 The Night Of, created by Richard Price and Steve Zaillian, is masterful when it was at its best, and the first episode titled "The Beach", which I ranked as my #2 of the year behind only the previously discussed "San Junipero", is just that. 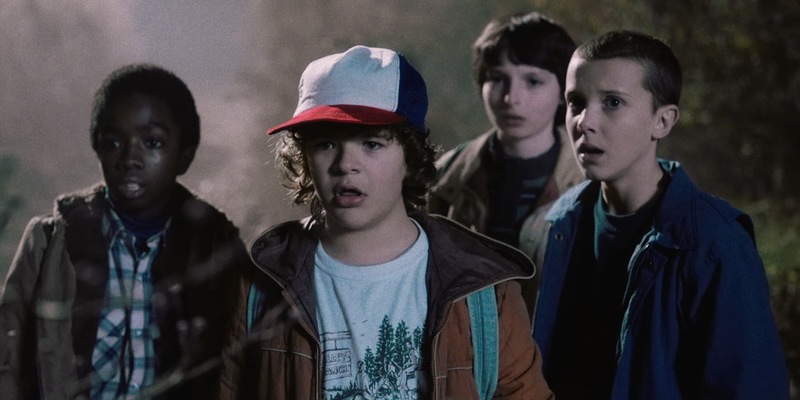 The third and final appearance of a Netflix Original on this list, Stranger Things is a show designed to invoke a nostalgic feeling in its viewers who loved an era of storytelling found in the 1980's. My goodness does it work, but it shouldn't be dismissed as being nothing more than a warm blanket to those looking to live in the past. Stranger Things is like an amalgamation of the work of Steven Spielberg and Stephen King and it never misses a beat, helped by great writing and direction, a terrific musical score and a terrific cast of young actors. It's pretty remarkable how not only has Game of Thrones not lost any of what has made it great for years now, but it got even bigger and better during it's 6th outstanding season, featuring a few of it's most memorable episodes yet (two of which made my ten best list). I mean, what really needs to be said about this show at this point. 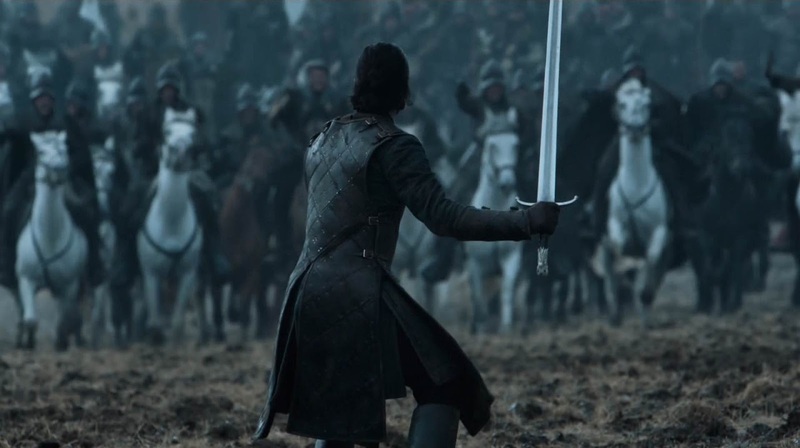 If you aren't watching it yet, you probably have little interest to, and if you are you already know what happens and how epic it was. 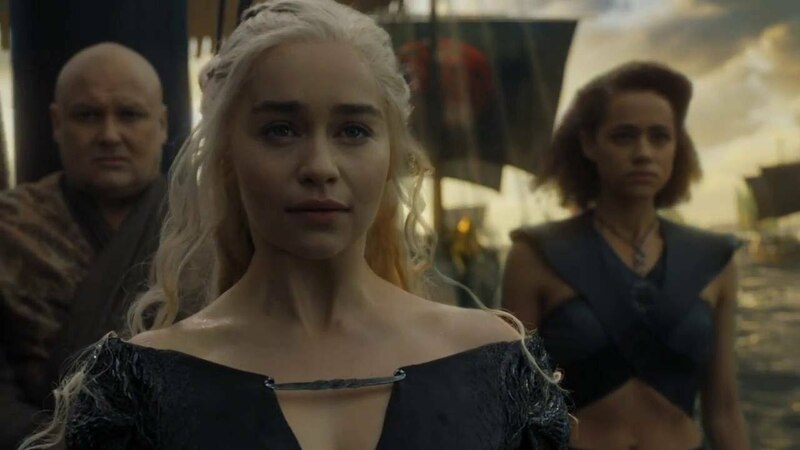 With only two shortened seasons to go before the show signs off, I am happy that Game of Thrones will be going out on its own terms at the top of its game. I know it's a cliche at this point, but seriously, there is nothing else quite like Mr. Robot on television. 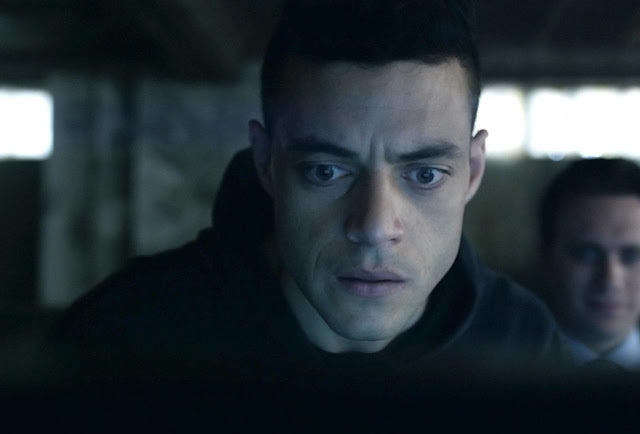 It's a remarkable, bizarre, wonderful series that just gets better and better, with a lead performance from Rami Malek that deserves every award he can possibly win for it. It's not only great acting, it's essential, to portray a character like Elliot Alderson with such brilliance and dedication to nailing every bit of nuance needed to make it work. Creator Sam Esmail delivers amazing episodes weekly and I am already checking the calendar wondering when I can sink my teeth into a third season, and word is he is going to adapt the incredible silent film classic Metropolis into a modern re-imagined miniseries? Holy lord I'm in. Sign me the hell up, and if you haven't seen Mr. Robot yet (ratings suggest you haven't), stream it to catch up. Just an incredible piece of storytelling, the best on television.